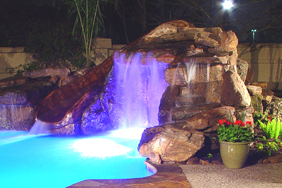 We are a group of professionals composed of architects, registered landscape architects, designers, artists and various sub-contractors and suppliers that have worked together for many years. We take pride in our ability to cater to your unique needs. 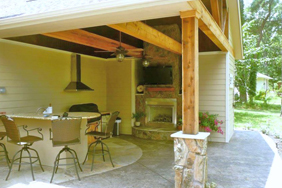 We specialize in creating outdoor living environments, using a combination of stone, wood, steel, water and various plant materials to successfully design a unique environment catered for your personal use or as curb appeal for your business. We offer a wide range of services from simple consultations to complete design, building and project management. 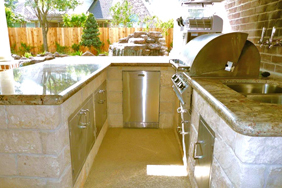 For commercial and residential we are available to meet with you at your convenience. 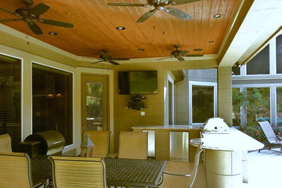 Whether your hosting a party or enjoying a quiet glass of wine on the porch, outdoor sound systems offer the ultimate outdoor luxury. From traditional radio and CD players to iPod docking stations and satellite radio – the possibilities are as varied as your taste in music. 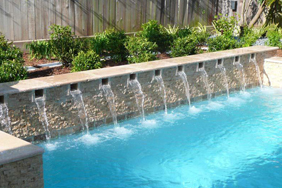 Your water features don’t have to be limited to the pool. 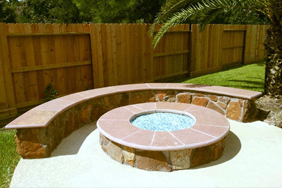 We offer a variety of custom water features to create a soothing ambiance to your outdoor space. From simple fountains to koi ponds and backlit water walls, the soothing sounds of flowing water will bring a peaceful calm to even the most urban of settings.